Young bodies get cold. 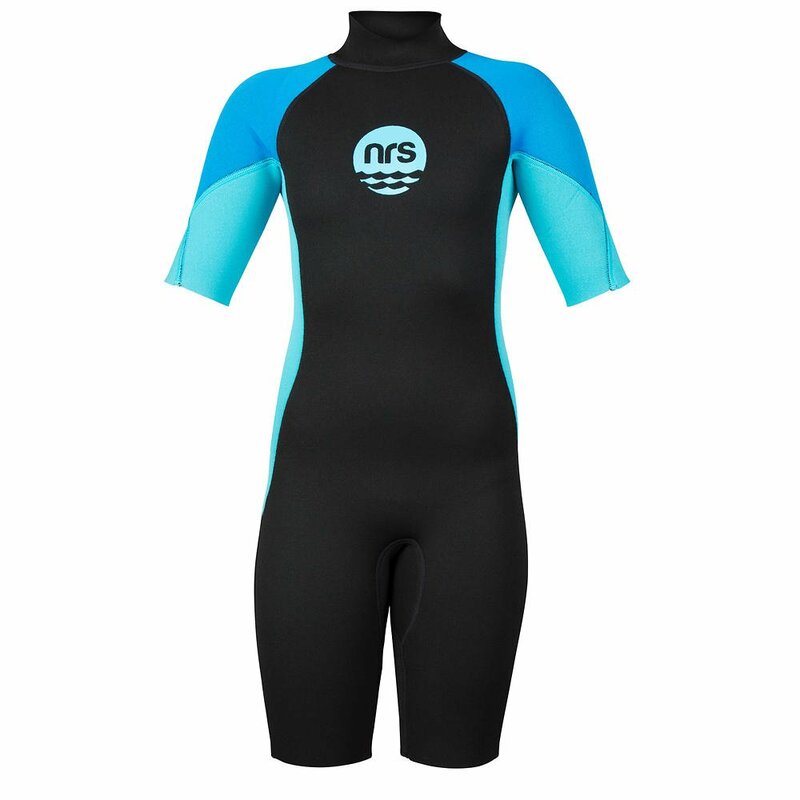 Protect them with the NRS Kid's Shorty Wetsuit. 2 mm neoprene provides warmth and a fun color pattern keeps them visible. 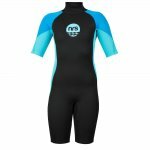 The top quality 2 mm neoprene insulates against the cold and the closed-cell foam supplements the flotation of the child's life jacket, floating them higher in the water. We also add fine titanium particles to the adhesive layer bonding the inner fabric to the neoprene. The shiny particles reflect back and help hold in body heat, without adding bulk. Sleeves extend the sun and thermal protection. Rugged flat-lock stitching in the seams stand up to children's high activity levels. The heavy-duty YKK™ back zipper makes entry and exit easy, while preventing the young person from accidentally unzipping. The cut lines of the suit provide good freedom of movement.